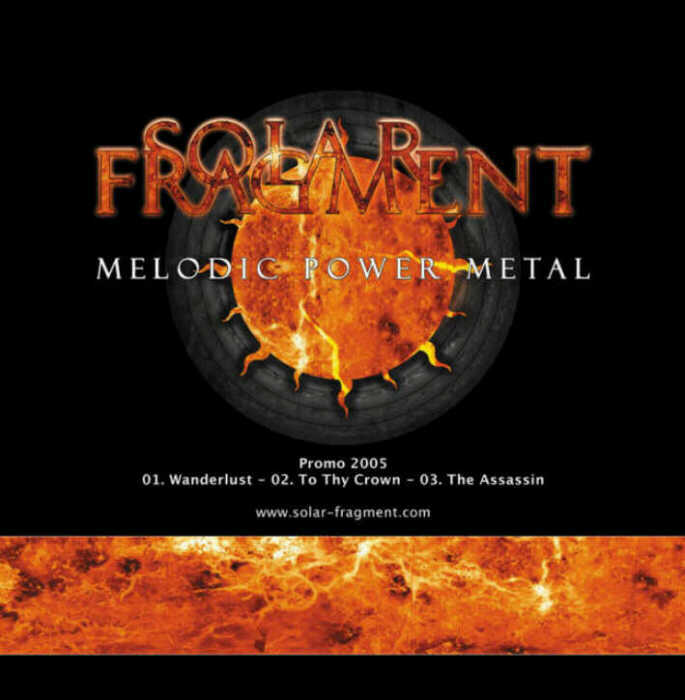 Inspired by numerous modern metal groups Solar Fragment are evolving their own kind of melodic power metal. Led by exceptional vocalist Robert Leger this band will sooner or later convince both, hard rock and metal fans. "On that mission I am straight"
Harmonized guitars and Robert's voice are the central elements of this fast and melodic type of music, built on a hard-as-steel fundament of bass and double bass. "At dawn you will have learned"
The melodies created will refuse to leave your head for a long, long time. Feel the urge to bang your head! Your neck surely won't resist.